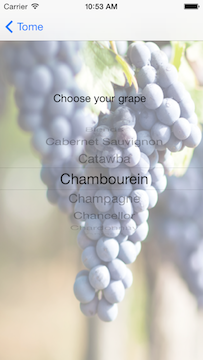 I have updated the app and added several more grape types. I also updated the app to allow the end user pick the country of origin. I am not quite ready to submit the update. Since I am storing the data in an iOS 7.x data container, I want to make sure that the ‘old’ data (without country) will migrate to the new (with country) without loss to the end user. As always, please provide feedback about anything at all. 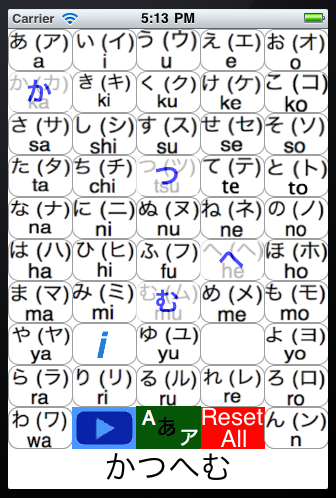 Since iOS 7 has been released, I have been slowly updating my Japanese apps. This has proven to be more difficult than I thought as Apple removed the nice little built in button lines. I am not sure if I need to create my own button graphic, then re-write the button engine to use the graphic. I have a boat load of buttons. A good thing however is that Apple has made the social aspect of sharing really easy. Simple ‘#import Social/Social.h’ and 5 lines of code and you are off to the races. 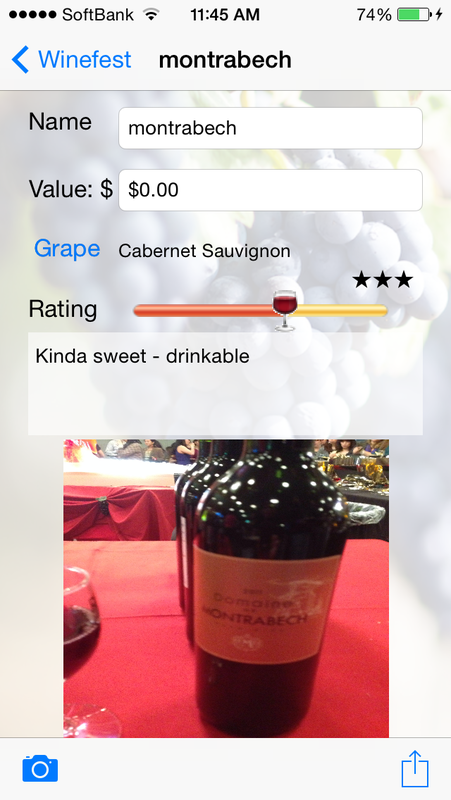 That in mind, I created a really quick app to capture pictures and use a table to show information about a wine tasting my wife and I attended. I am just about ready to upload it now. 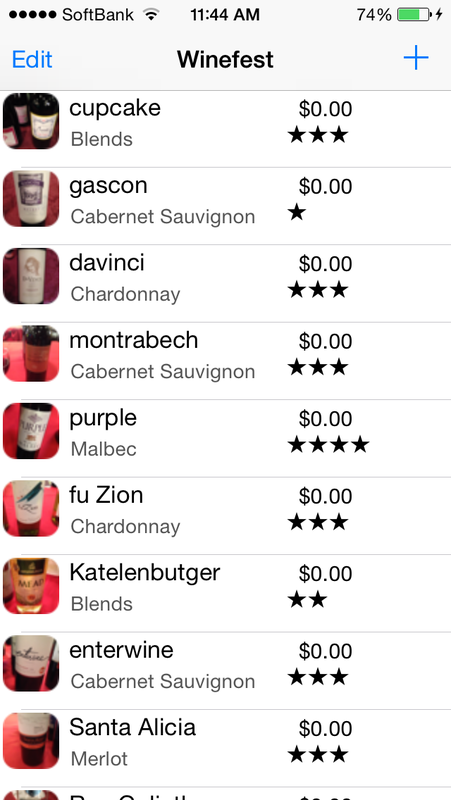 IT is free, but I hope to get some good feedback and add more to wine list. I am sorry that I have not been around to update this blog, but a great deal has been going on in my personal life. And, as ‘they’ say, such is life. iOS 7 is really amazing. The notification center and also the pull up dashboard make this iOS fantastic. I think the multi-tasking switching is really great too. Makes it easy to close apps that have frozen. Google Translate does not work and G+ is pretty unstable. FB works fine- Most of the games I have also work fine under iOS7. I am really excited to have get the final release and start using it. I cannot image the amount of work going into Xcode 5 as well as iOS 7. iOS 7 feels closer to being finished. Xcode 5 is just ugh… Time will tell. So I have been working on a re-write of the button code. The current code works just fine, but if the user selects the same button more than once, the button is re-drawn. It all work, but looks odd. The challenge for my prosaic programming skills is to keep track of buttons used. Re-draw the button to indicste that the button has changed. Update those buttons when the text script is changed. Don’t update if the button is selected twice in a row. I.E., mama. Interesting logic issue to be sure. 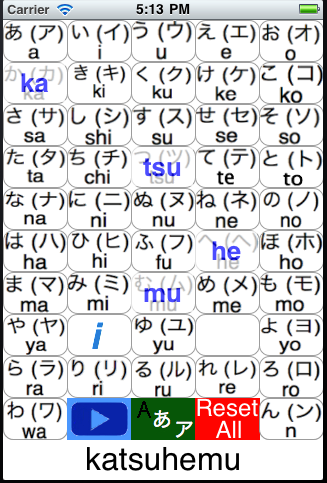 Just about done with a moderate UI update to the iHear-Japanese.. I added changes to the interface. 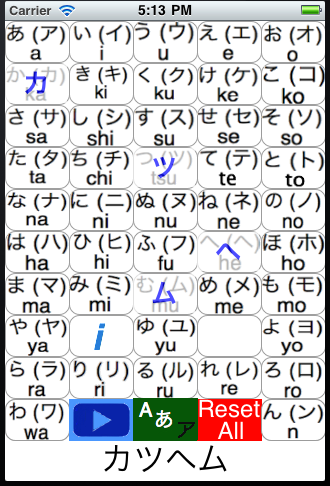 The user can select which type face they wish to use or rotate through the type faces on the fly.